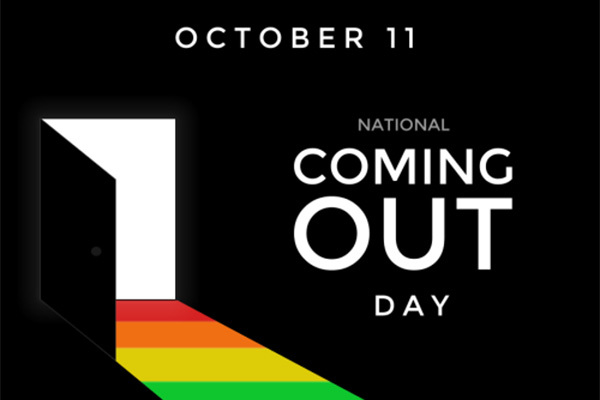 From ELM: National Coming out Day is today October 11, 2018! This day holds different weight for different people: it can be a day of pride and celebration, and also a day of complicated emotions, memories, and pressure. As an ELM community, we commit to boldly proclaiming our identity as LGBTQIA+ ministers and candidates, and we know that comes with both challenges and triumphs. 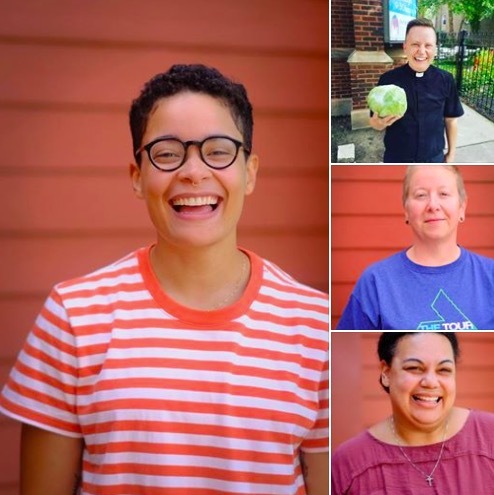 As a way to honor and highlight this process, and offer a resource to the broader queer community and church community, ELM has Proclaimer coming-out stories and reflections to share publicly alongside other ELM resources. 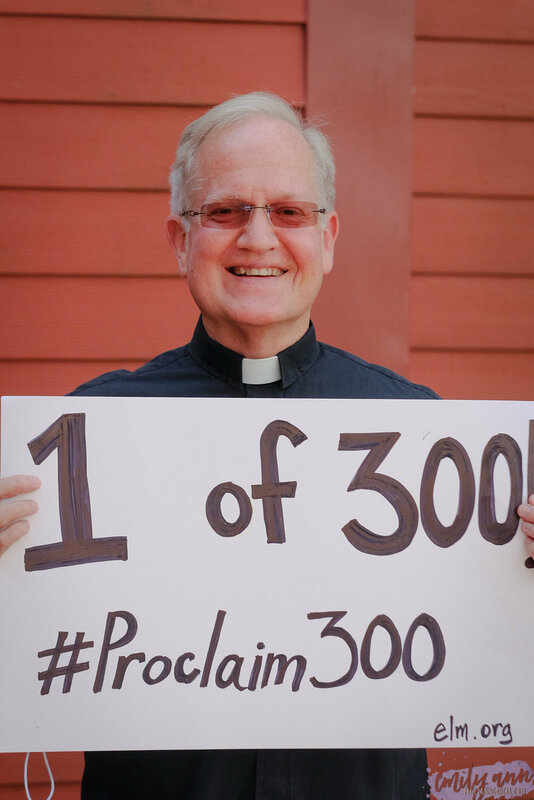 These stories are part of our 3-month #Proclaim300 campaign, celebrating Proclaim (ELM’s professional community of out LGBTQIA+ ministers & candidates) reaching 300 members, with a goal of raising 300 gifts of $300 by Reformation Day: October 31, 2018. Honor a Proclaim member or other change-maker through ELM’s #NCOD Fundraiser online or at www.elm.org/donate-now. 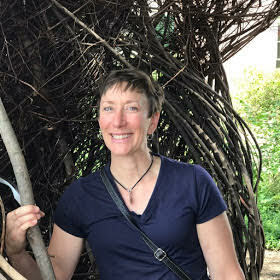 Reflecting on coming out: One of the things that I love about my coming out story is that it is entangled (in the quantum physics sense) with my call story. There is no way for me to separate the two. My coming out impacted my call and my call impacted my coming out. This continues today. 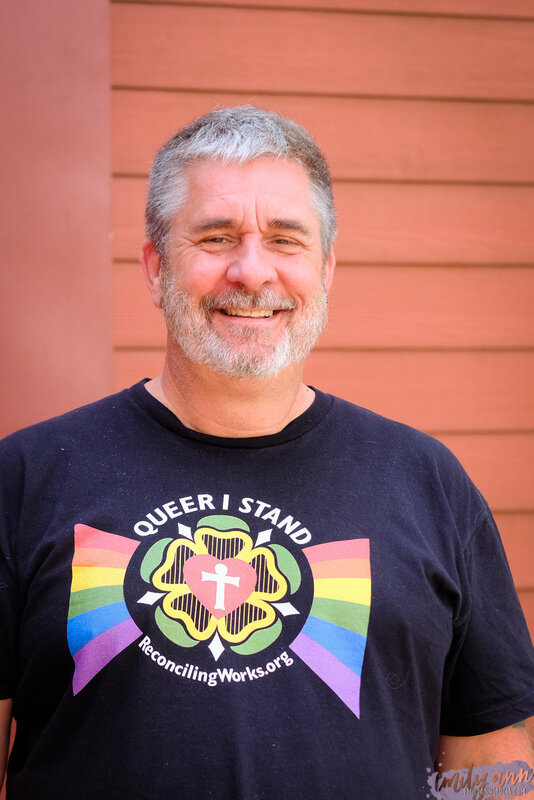 The way I live into my vocation–how God is calling me into the world–is because of my queerness. 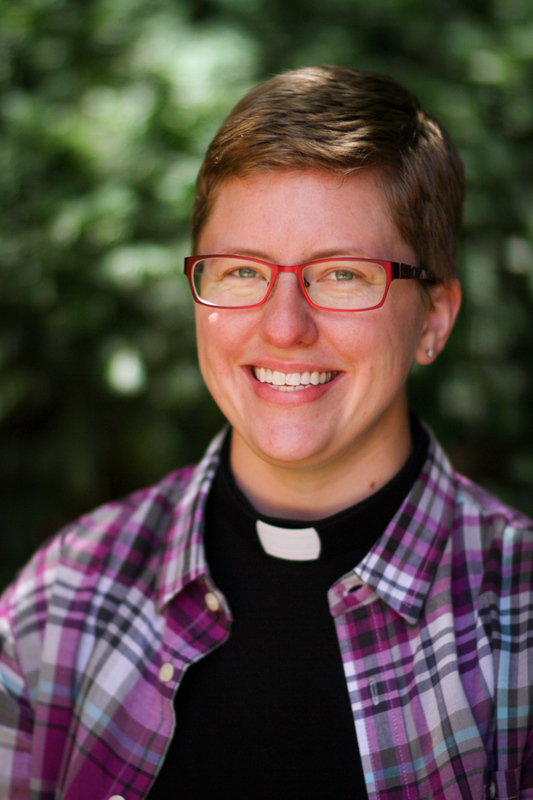 God called me queer and queerly called me into ministry. My coming out and my queerness are not only a gift for me, but a gift for ministry and a gift for the world. What does National Coming Out Day mean to you? Every day I’m coming out. 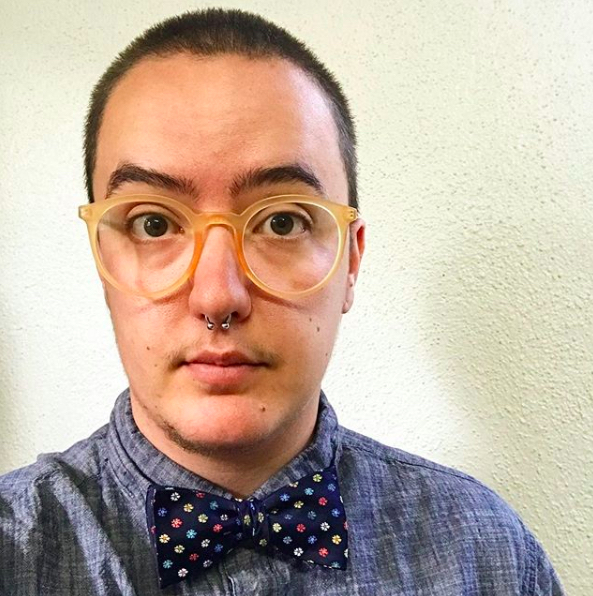 As trans, as queer, as a seminarian, as a Christian, as alcoholic. It’s a constant rising to the challenge of honesty, being with with that brief fear of “OMG what if they hate me afterward?” and then being completely blown away by the commonality the other person and I share afterward. Coming out and the love I am met with is a conversion experience to me. I am continually being brought back to and shown God. Reflecting on Coming Out: “Transitioning” is an everyday thing, especially for folks who are transgender. For me, physically and mentally going through a hormonal and bodily transition allowed me to realize that “transition” happens for all people at all times and in all places. We are never not transitioning. Reflecting on coming out: Being out is complex. Being in is complex. But standing shoulder to shoulder with chosen family is the best feeling of support. What does National Coming Out Day mean to you?I am Like many of us, my coming out was gradual and somewhat piecemeal. The trouble with that, of course, is that it becomes more and more difficult to remember who knows what. Life is complicated enough without trying to maintain varying accounts of your life depending on who you are with. My sense of integrity was compromised and my spiritual life suffered as a result. Something had to change. So, about 10 years ago I decided to observe National Coming Out Day in a big way. There was a sense of possibility in the air. It felt that we were on the cusp of change but I could not have predicted the dramatic changes that would come to the church and to our country over the next few years. I was convinced, however, that whatever positive change would come would be in part because people like me chose to be public about who we are and demand our rights. And so I did the most public thing I could think of (that I could also afford) and wrote a letter to the editor of the local newspaper asking that it be published on National Coming Out Day explaining why I thought it was important for me, especially as a Christian, to be “”out and proud”. It was published. I have no idea what if any influence that letter had on the people who read it. I wish I could say that I never again found myself being “vague” about my personal life. I can say for sure, however, that I don’t think I could have made it through the long and painful process of becoming an out gay pastor without having first observed National Coming Out Day in such a public fashion. If you could go back in time, would you come out the same way or differently, and why? This may sound a little ridiculous, but I think I would have prepared a script. This would have kept my messaging consistent whenever I came out to a new person. Even though sorting out my gender identity made sense to me in my mind, language often falls short with new and different concepts. A couple of people told me I needed to be able to explain myself better. I wanted to shout, “You try to explain this to people!” Ultimately, being able to articulate myself better would have communicated confidence and certainty. What does National Coming Out Day mean to you? It doesn’t mean much to me personally. Although, now, I can say that I’ve “put myself out there” on National Coming Out Day! I have friends who have found it as a helpful platform to share their stories. One of the scariest things about revealing a marginal identity, that may not be obvious, is feeling like you’re alone in the struggle. The community aspect of National Coming Out Day seems like it could help dispel this myth. 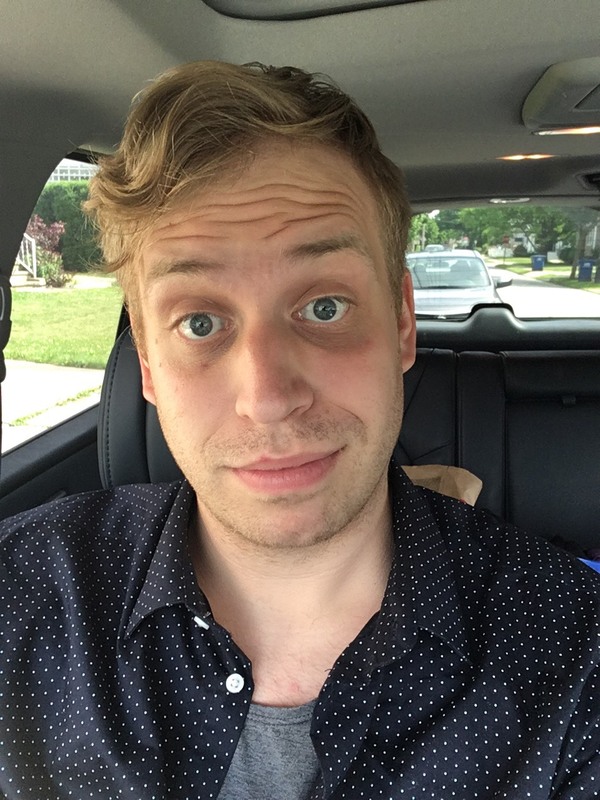 Reflecting on coming out: I feel like I’ve been through multiple coming out processes. Each time it seems to get progressively easier, at least I have some experience to ground myself. I also tend to get a little angrier each time too, though. Like, when will my identity journey end?! And why does it always seems like such a big deal?! First, I came out as a lesbian (10 years into a marriage with two kids). Then, I came out as one-who-is-called-to-ministry (which was a big deal to my family and required moving out-of-state). My most recent experience, which I address here, is coming out as transgender (female-to-male, or FTM). I transitioned during seminary and in the middle of the candidacy process. By the summer after 2nd year, social and medical transition were imminent, and I needed to come out to my candidacy committee. I scheduled lunch with my committee representative, and I was less than hopeful about the meeting. When I told him, he responded, “Oh, thank God!” As you can imagine, this is not the response I expected! He was relieved that this disclosure wasn’t going to result in a stack of paperwork, assured me that it wouldn’t affect my candidacy, and told me we would work through it together. There are a lot of other stories I could share here if I had the time, like accidentally coming out to my grandmother due to a technological glitch, or how my mother’s death facilitated coming out to everyone I’ve ever known. There’s no getting around the fact that coming out is terrifying, at a gut, instinctual level. I took it slowly. First talking one-on-one with those closest to me. Then making more concrete social cues like pronoun and name changes. Eventually, I wrote a blog post communicating my story to a wider audience. The only reason I’ve kept moving forward on this journey is that the next step in front of me usually seems like the only option…and the Spirit keeps gently guiding and sometimes giving a strong shove. My advice, if anyone is asking, is (1) be grounded in who you are and people will adjust, (2) find your people who will be supportive regardless, (3) be patient with yourself, the process, and other people, and (4) read Psalm 139 often. Who was the first person you told and why? Janet, a member of my home congregation, was the first person I told. I told her because I knew she would understand. I knew from her own life story, that she would be safe. I also knew that I couldn’t keep this inside me. I wanted to be known. I wanted to share this deepest part of myself with another. So as I sat in her home library, trying desperately to find the words, she spoke them for me. The door was opened and I walked through feeling so visible and so loved. What was the hardest thing about coming out? What was the best thing?The hardest thing about coming out was the uncertainty within the church. I was in seminary at the time and I was aware that my identity and my love might cost me my vocation. The best thing was the honesty. For a long time, I felt like people didn’t really know me. Coming out aloud me to be more open and vulnerable about all of my life which allowed me to be a better friend, theologian, and person. If you could go back in time, would you come out the same way or differently, and why?I wish I didn’t wait as long as I did. My sexuality was hidden for several years and looking back, I wish I would have had the courage to be honest earlier. What does National Coming Out Day mean to you? National Coming Out Day, for me, is a day to claim who we are and whose we are. It is important for me to name this part of my identity and to work to ensure that all LGBTQIA+ people feel safe and valued and loved for who they are. Being known is a valuable tool in helping advance the cause. What does National Coming Out Day mean to you? It is an opportunity to tell my fellow old white men and everyone, that it is never too late to be who you are. God loves you and wants you to be who you are. After practicing my story at PFLAG, I came out to my adult children and their spouses. It was wonderful and remains so. Then God really played a joke on me: Dave and I met and fell in love! Two old men in love! What a miracle the last two years have been. Reflecting on coming out: Dave and I lived a four hour drive apart. We both made that four hour drive too many times. Even so, Dave came to know my congregation and they him, as my good friend. In order to be together, I had to move, because Dave could not. This meant leaving the congregation I had served for fourteen years. 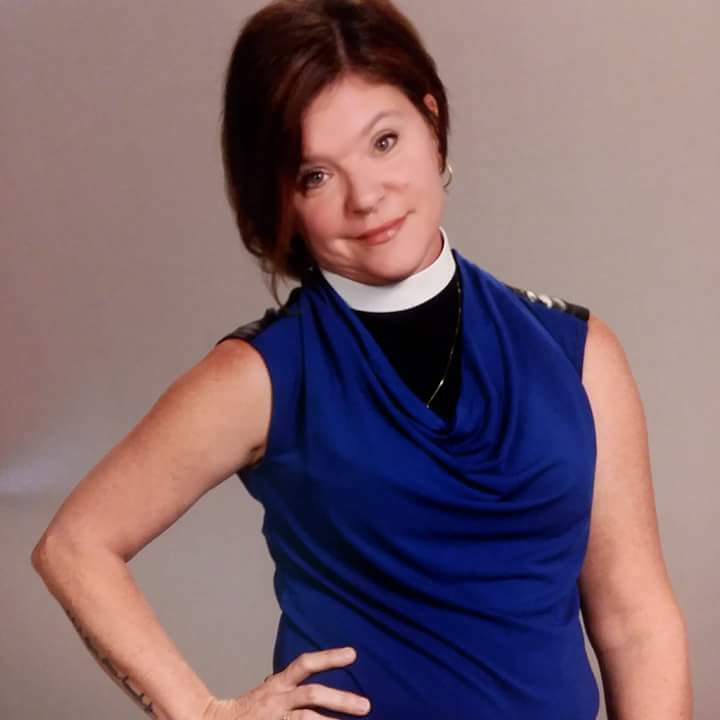 After telling the bishop my plans, I announced my resignation and retirement one Sunday and then came out to the congregation the next Sunday. The outpouring of love for both Dave and me was certainly of the Spirit. What does National Coming Out Day mean to you? 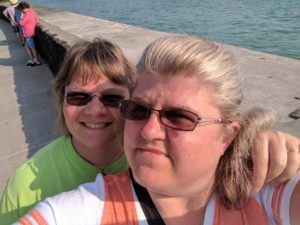 I came out to my wife and children just two weeks after Coming Out Day 2013. Knowing that others had taken that step just days before gave me the courage to take the steps I took to be whole and authentic. Reflecting on coming out: The reason it took me so long to come out was because of the evil known as Conversion (or Reparative) Therapy. It has taken me a long time to release the people who held my life hostage for almost 25 years. But, that darkness has been turned to light…no, not light…a rainbow! What was the hardest thing about coming out? What was the best thing? The hardest thing was accepting this part of me that I knew. Had experienced. Had frankly loved. I came out because I’m writing a book and I talk about it really clearly. But as a black man in ministry with a lot of brokenness in my past I didn’t want another hurdle in my ministry. If you could go back in time, would you come out the same way or differently, and why? I would have came out years ago. What does National Coming Out Day mean to you? The first time I’m participating. So it feels brave, foolish, holy. Reflecting on coming out: For me coming out has meant one more front that I have wage liberation and peace on in the battle for the soul of America. It feels like a responsibility and I find joy in holy responsibility. I find wholeness in integrating all of me. What does National Coming Out Day mean to you? A reminder that I am able to be who I am, love the person I love, and to be an example to others. As someone who is discerning a call to ministry, it is also an opportunity to proclaim that I am a beloved child of God. It reminds me that I am accepted not for who I will become, but for who I am right now. I am grounded in a relationship with an infinite God who loves all people – period. Reflecting on coming out: We suffer and struggle most when we our angst is experienced in isolation. Being in community is an opportunity to be embraced for who you are. What was the hardest thing about coming out? What was the best thing? For a long time, I was hesitant to come out to more than just a few close friends. I told myself that it was because I didn’t think I had to “come out.” If straight people don’t have to go through that process, then why should I? However, as I learned more about myself and my identity, I realized that my hesitance had more to do with my fear and anxiety than societal norms. While I grew up with a supportive family and had friends who were open and accepting, I knew that by coming out the way I was perceived by others would change. I knew that some people would make assumptions about me purely based on this one aspect of my identity, and that thought scared me. I wasn’t sure if I was ready for this part of myself to be open for public consumption. However, the best thing about coming out has been being able to live an open, authentic, wholehearted existence. 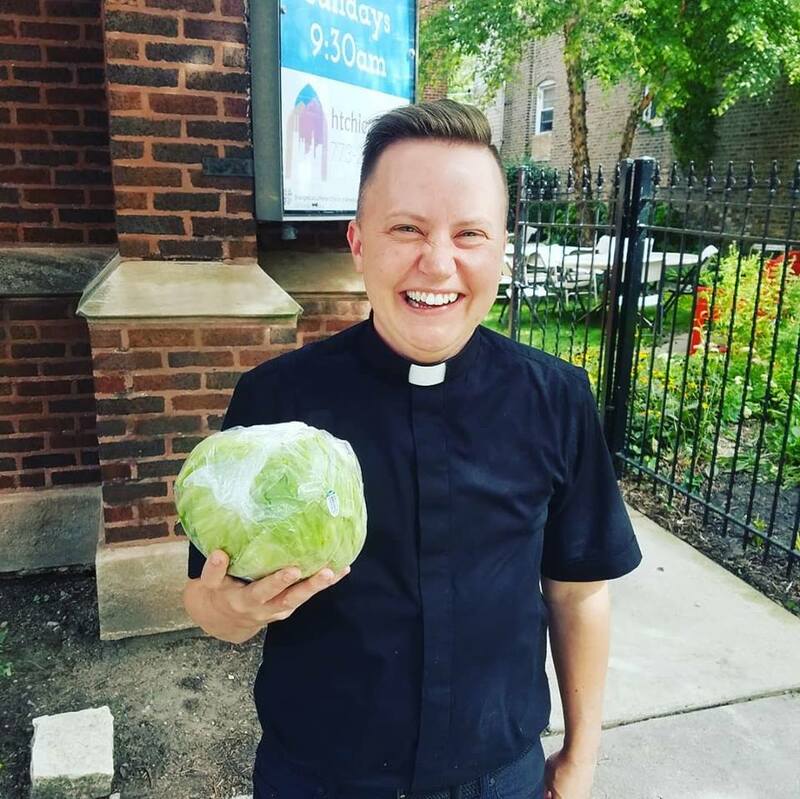 By taking a risk and being open about my identity, I have been blessed with communities of beautiful Queer people who understand the joys and struggle about being out in the church and in the world. 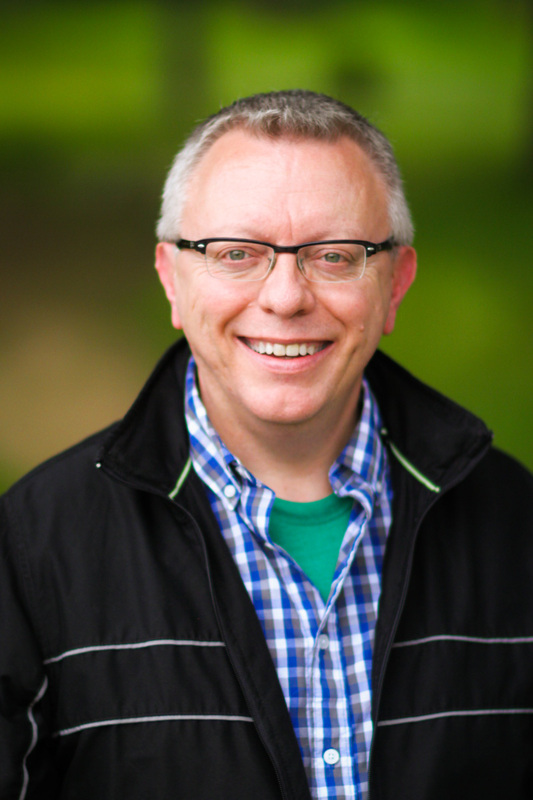 I am able to bring the fullness of my identity to my relationships, my work, and my theological studies, which I have found allows me to more fully live into and embrace my vocational calling to pastoral ministry. Who was the first person you told and why? The first person I told was another pastor. 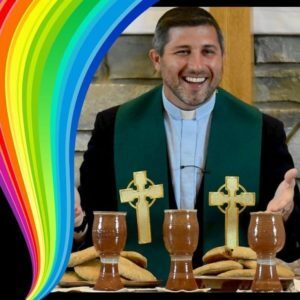 He was an out gay pastor who shared his coming out story with me. During that very sharing and vulnerable conversation, a light went off, I saw in him someone who found freedom in being his whole self. Until that moment I had no idea that I yearned for that same freedom and surprisingly found myself saying, “I want you to know that I am gay too.” It was the beginning of my journey into wholeness. What was the hardest thing about coming out? What was the best thing? It was actually hardest for me to come out because I had been a very public “ally” at my college. This was my own issue – I didn’t want the community to think it had been a struggle for me or that I had resisted it. But it had taken me some time to come to an understanding about my bisexual orientation. I was also very in love with my boyfriend at the time and so coming out was complicated – asking myself – what is the reason for coming out if I’m with someone? But this actually helped me understand something significant early on – sexual orientation is about who I am, not who I am with. The very best part about coming out and being out is being true to who I am. What does National Coming Out Day mean to you? This day holds many great memories for me! It’s a good day for any who need a little push to finally come out and start telling others the truth of our lives. Coming out is also a lifelong process – especially for those of us whose sexual orientation may be less obvious (for example, my partner is a man and it would be easy for most to assume I’m straight). National Coming Out Day gives a chance to tell and celebrate our stories and to invite others to share their own. Reflecting on coming out: The story of my coming out is intimately tied to the question of my future in ministry. I have felt off – let’s call it queer – since I was young. I was always a little more effeminate than my male classmates in school, and in a small rural town, was made fun of for it. But it wasn’t until junior high when that femininity tried to break through the masculine. It’s always something I’ve wanted to hide away. 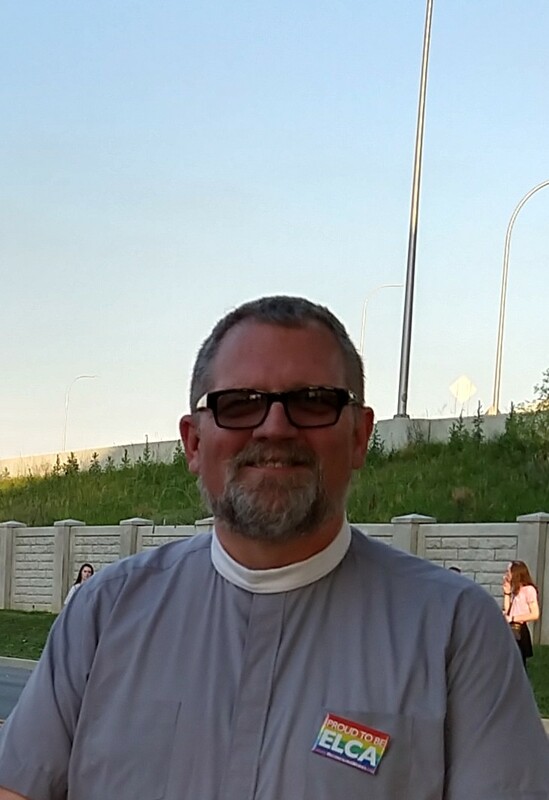 After the divorce of my parents, moving across the country and back, and living into my individual identity as an adult, it wasn’t until I started at Lutheran Campus Ministry when the call for ordained public ministry came to fruition. I wanted to be pastor for all of diverse backgrounds and identities, and that required seminary. I married my wife of more than seven years, we had our first of two children, I graduated from undergrad and we moved to seminary to continue the path for my calling. In my second year, I was in chaplaincy when the femininity that I had tried to hide away came rushing back. But if I were more feminine than masculine – if I were *transgender* – what would that mean for my career in ordained public ministry? What would coming out mean for my identity as a seminarian, as a husband, as a father? Would I ever be able to serve my own identity as a trans child of God, AND as a person seeking a call into ordained public ministry, AND a parent and spouse? I stayed in the closet during my third year of seminary on my internship. It was a rural site, and I wanted to maintain my educational and vocational goals. But as the year of internship went on, it became increasingly hard to keep that closet door between me and the rest of the world. But always in the back of my mind, it was the question of – what will coming out mean for my future in ministry? If I had figured out the rest of the complicated stuff – what would my coming out mean for my call? I left it up to God. 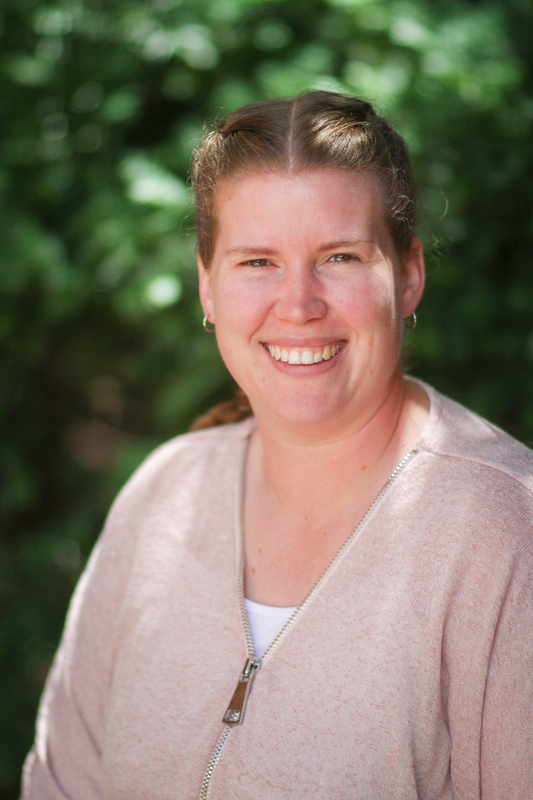 I came out in September of my final year of seminary, joined Proclaim and started a hormonal regimen in November. This November will be two years since I started that regimen. Informing the synod of that decision, I wanted to be clear of my intentions and transparency. After all, I was a trans parent. 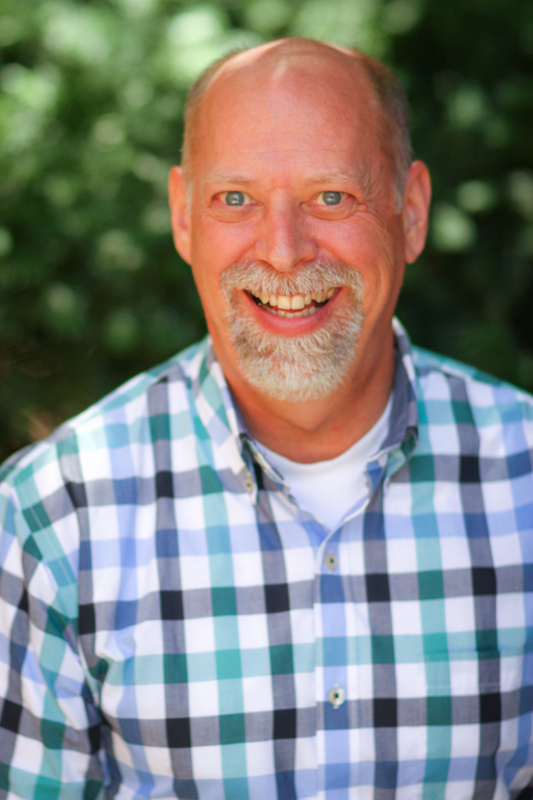 In the end, candidacy fell through, and ever since I came out – the question of – will I ever be able to serve as an ordained public leader in the ELCA – remains unanswered. At this moment, it may take a few more years. Who was the first person you told and why? My therapist, because it was not safe to tell anyone else. What was the hardest thing about coming out? What was the best thing? The most difficult thing was facing that I could not get ordained. The best thing was being able to finally be myself. If you could go back in time, would you come out the same way or differently, and why? Back then (over 30 years ago), there weren’t a lot of choices. Most people were closeted. What does National Coming Out Day mean to you? It is a day to celebrate; this is a form of rebirth. You are now beginning to live into the true you, even if it means you just came out to yourself. It carries a sense of freedom to be who God called you to be. It is also a day of remembrance; a day to stand up and be proud of who you are when your siblings remain in the closet for whatever reason. Many of our siblings do not have that same freedom for fear of loss of safety or loss of relationships. Coming out is an ongoing process. One does not come out and never have to come out again. Every new situation can call for coming out depending on the circumstances. This is a day to honor that process with celebration. 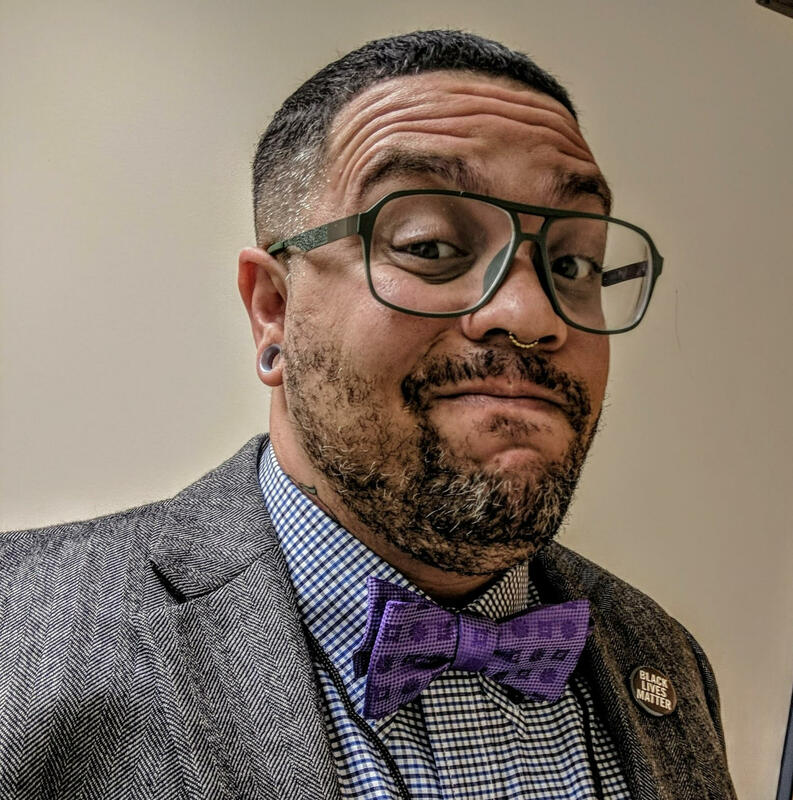 Reflecting on coming out: My story falls into that ugly trope where I came out as bisexual because I thought it would be easier for the people around me. Bisexual people face erasure everyday and I always regret that part of my story. My family told me that no one would ever love me because no one would ever trust me. It had taken me a long time to get to that stage of coming out because I thought by denying my same-gender attraction that I was doing what God wanted and I was living a good life. After a year of slowly coming out to my new friends during my freshmen year at college I realized through the halfway year that I was gay. It felt so freeing. Like I was no longer pretending to be who I wasn’t and I reveled in my new identity like a beautiful new garment. I came back to my parents that summer and told them of my new discovery within myself and I was met with shouting and crying. They were mourning a son they thought existed and I was his less than ideal replacement. I distanced myself from my family and my Lutheran upbringing. I ended up at an ELCA church camp which I now attribute to the Holy Spirit, but back then I called it luck. I was in my first relationship with another guy but I was still troubled by how I thought the God I no longer believed in would judge me for my orientation. I took a walk around camp and ended up at one of our outdoor worships spots, a stone altar in the middle of the forest. I fell to my knees, crying and praying. After several minutes I heard a sound coming back from the main camp. Sound carries very well from the assembly hall and someone was playing the piano. I could pick out the tune of Lady Gaga’s “Born This Way” and I felt an immense calm around me. Coming out cannot be reduced to one day or one moment. It is continuous process and the hope is that I come to give myself grace and love everyday to live into the gift of queerness. What was the hardest thing about coming out? What was the best thing? The hardest was thinking I needed to be effeminate if I was gay. That’s just not who I am. The best thing was being able to talk to friends about cute guys…so much fun not having to keep my crushes a secret! If you could go back in time, would you come out the same way or differently, and why? Oh, I would come out much sooner. My fears of rejection were not founded, and I ended up being fully embraced…if I came out younger, I think the reaction would have been the same and I could have lived my truth sooner. What does National Coming Out Day mean to you? Coming Out Day is an opportunity to proclaim who God created me to be…and proclaim to others that God loves them just the way they have been created! 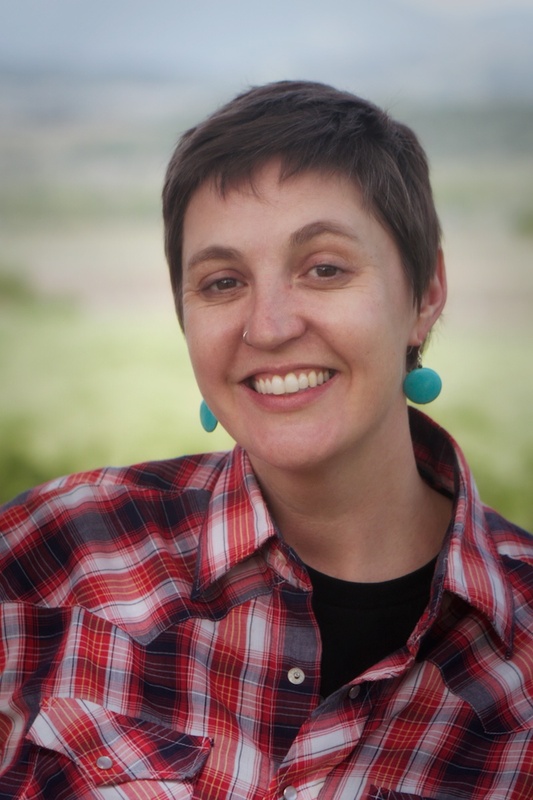 Reflecting on coming out: Coming out was hard because of my faith. 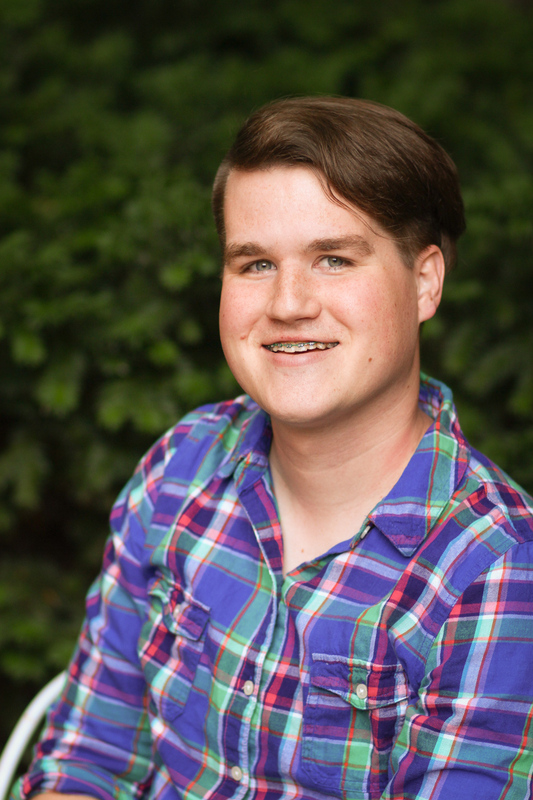 I went to personal counseling for six months prior to coming out to my religious parents. This was the hardest because I didn’t want to be condemned by my faith. As it turns out, my folks are just awesome! My dad even offered to fund a trip to Canada for us to get married before NY made it legal. My mom just out and out tells folks at her church that her oldest daughter is married to a women and that we have 4 kids. I’m blessed for sure. This entry was posted on Thursday, October 11th, 2018 at 3:05 pm	and is filed under Blog. You can follow any responses to this entry through the RSS 2.0 feed. Both comments and pings are currently closed.